Part of the Roman and Rybka, Perfecting the Opening Series by Grandmaster Roman Dzindzichashvili using the analysis of the world computer champion Rybka. 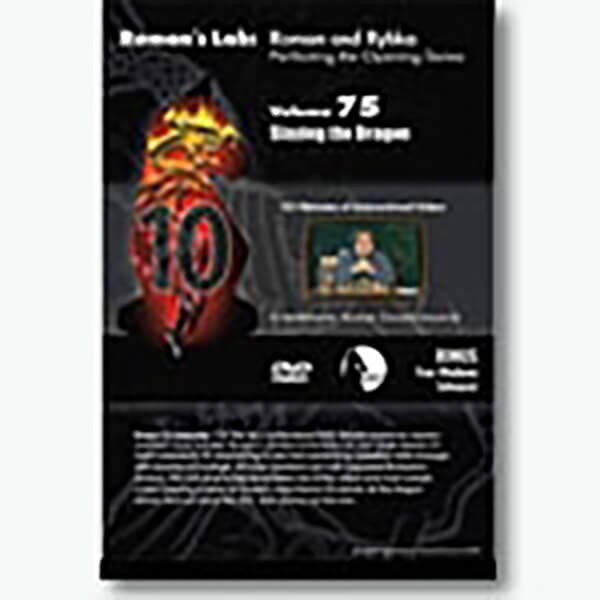 On this controversial DVD, Roman makes unprecedented claims that the Dragon variation of the Sicilian opening is in dire straits--this despite its recent popularity. Roman says it is fascinating to see how variation-by-variation, White emerges with sizable advantage. All of those variations are supported by Rybkss analysis. This DVD practically demolishes one of the oldest and most complicated opening systems on modern chess theory. So before all those players who favor the Dragon find out about this DVD, start racking up the wins!